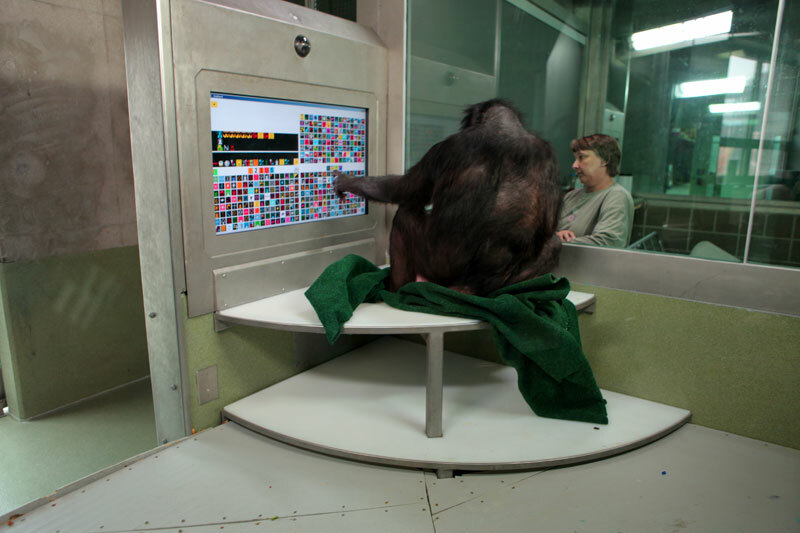 Panbanisha, a bonobo at the Great Ape Trust in Des Moines, uses a computer monitor with more than 400 lexigrams, to speak to Liz Pugh, a researcher at the center. 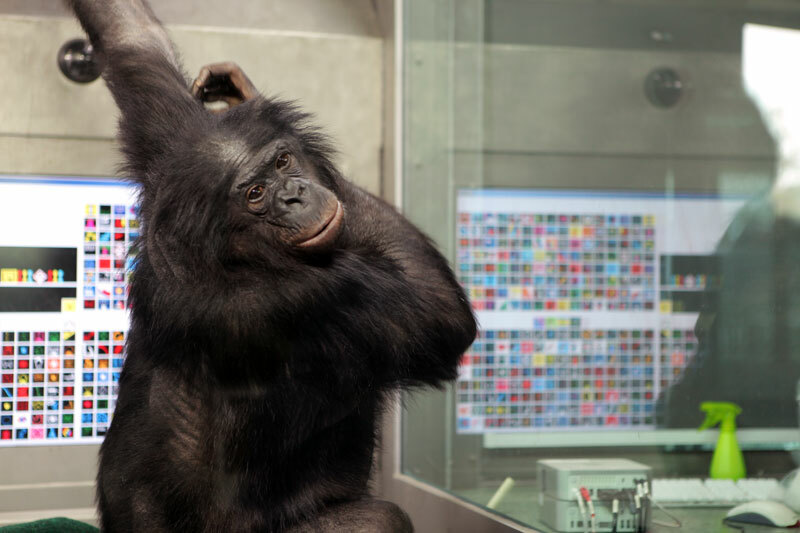 After spending much of the day with Panbanisha’s brother, Kanzi and his 10-month-old son Teco, and scientist Sue Savage-Rumbaugh, Liz told me Panbanisha wanted to meet me. 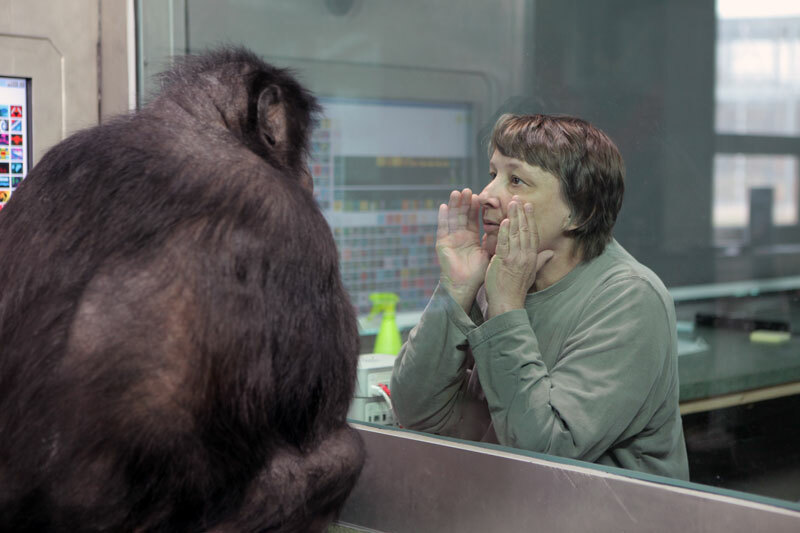 I watched through glass as she asked Liz for grapes and peanuts and shared a secret. Their brains are large enough to handle language but they can’t speak, not sure why. Amazing what they are able to understand though. As Dr. Sue says, they’re vocalizing quite a bit, and they can understand one another, with what sound to us like high-pitched squeals. But their laryngial tracts are not like ours, so they can’t speak our language in a way that we can comprehend it. But they can form complex sentences through the 400 or so lexigram images on the touch screens and laminated printouts in the lab.